After adding a video, click the Edit Video icon below the video thumbnail in the media panel. 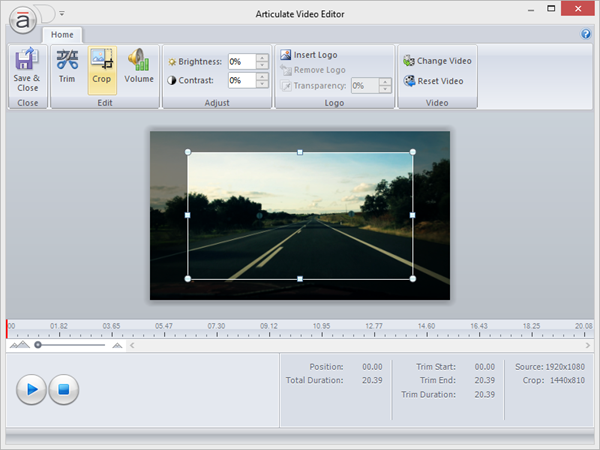 The cropping tool lets you change the width and/or height of a video. For example, you might want to crop out something that's distracting, or you might want to control the dimensions so it fits better in your interaction. 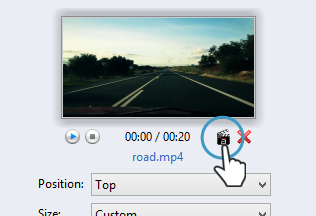 Tip: You won't be able to see your logo if you preview the video in the video editor, but it'll show up when you preview or publish your interaction.